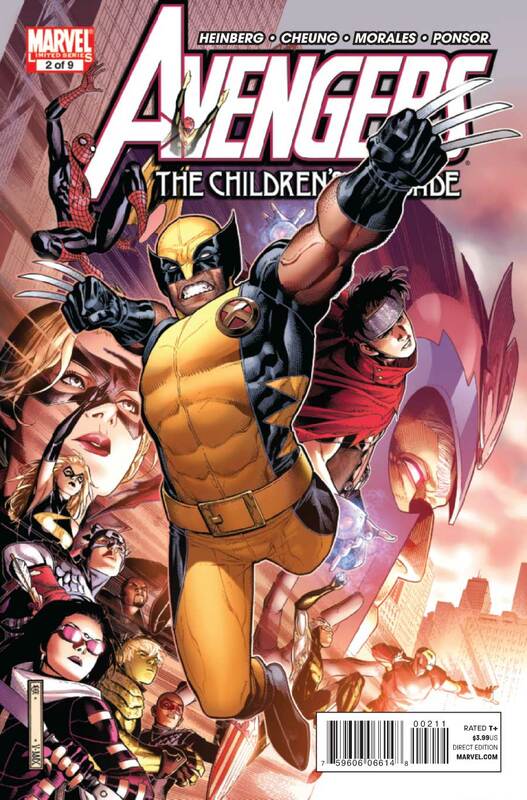 THE RACE IS ON as the Avengers, the Young Avengers, and the X-Men compete to be the first to find the Scarlet Witch. When the Young Avengers discover the secret of Wanda Maximoff’s disappearance, the Avengers attempt to neutralize the Scarlet Witch before the Young Avengers can find her. But their efforts soon lead to an all-out war between the Avengers and the X-Men that only the Young Avengers can stop. 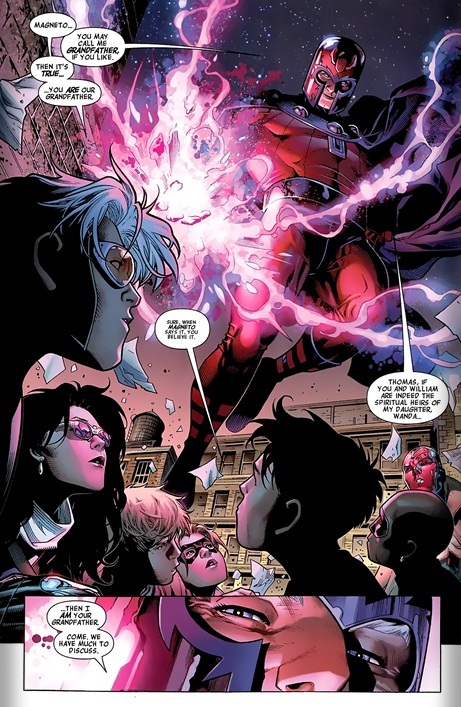 Magneto grabs his grandchildren and heads off he’s stopped by both the Avengers and the Young Avengers. Before things can escalate Wiccan teleports Magneto and his team to Transia. Once there they meet up with Quicksilver who objects to them aiding Magneto’s search for his sister. As Quicksilver and Magneto circle each other Wanda Maximoff is struck dead…..but it turns out she’s a Doombot, Dr. Doom has the scarlet witch! Patriot continues to be the only voice of reason on this team of teens. Magneto’s history with his children was summarized well for new readers. Black Hero- Patriot still the lone voice of reason on his team. Family- I enjoyed the playful rivalry between Speed and Quicksilver , the members noted that the twins looked a lot like grandfather Magneto. The animosity between Quicksilver and Magneto is as present as ever. That last page reveal was pure gold!